There are less dificult climbing lines, especially by their length above the bouldering wall. Several lines are made for top-rope style of climbing, which is perfect for beginners. 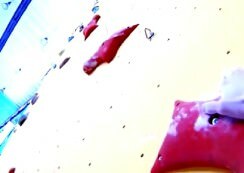 Climbing with ice axes, called drytooling, is also present, it is situated in the front part of the wall above bouldering wall. One climbing profile is equipped with auto-belay device. You can climb more climbing routes with one auto-belay and you don´t need a climbing mate who would belay. 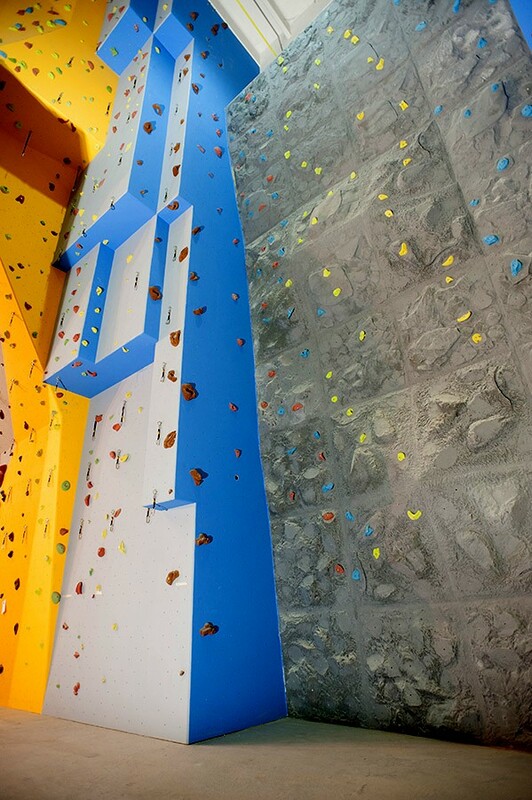 K2 climbing wall is the only indoor wall in Slovakia that has a speedclimbing profile. Each speedclimbing profile must meet the same specifications – gradient and length. Speedclimbing holds have specific shape. During competitions, holds must be placed on an exact position. We also have perfect bouldering wall with color-marked boulders. 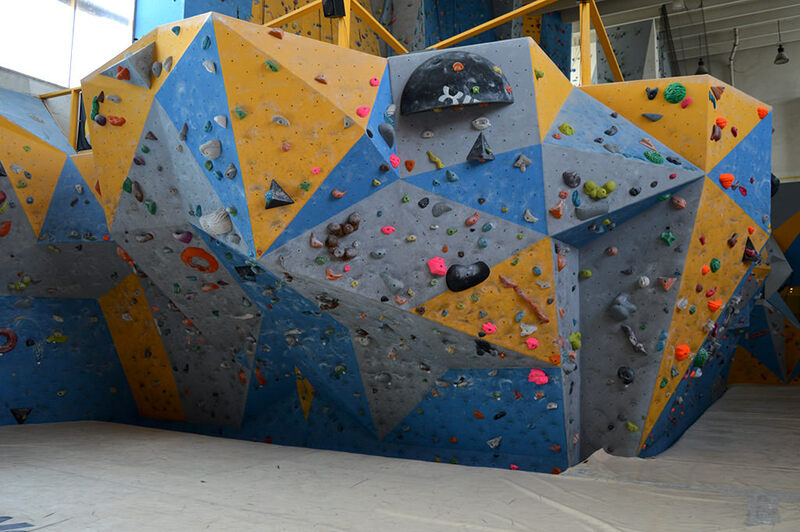 There is a sufficient number of holds installed, so you can traverse the wall or you can create boulders on your own. Surely everyone remembers what the very first meeting with climbing feels like. Pain from small climbing shoes. Suddenly you feel pain in muscles you had no idea about. Whith sufficient warm-up and additional exercises you can avoid at least the pain in muscles. For exercising we have prepared a training campus, trapeze, TRX, fit ball and other accessories. For balance exercise we have installed still more popular slackline. As well as in many sports, in climbing you can also measure and compare strength and climbing skills with others. 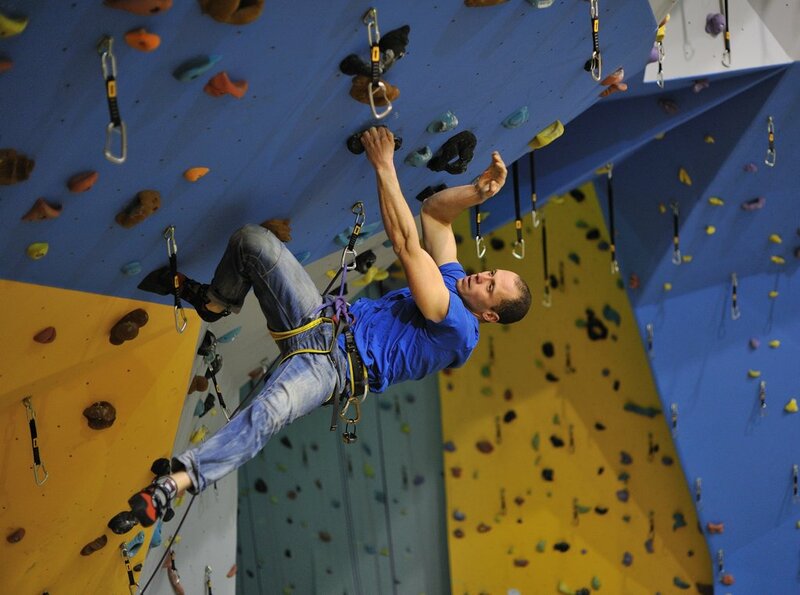 Our climbing centre has perfect organizational capacity for competitions or any other events. 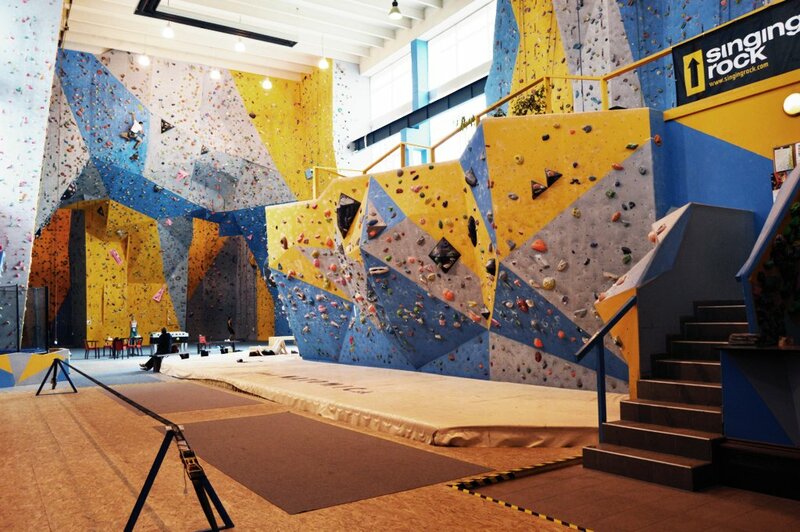 Soon after the opening of the climbing wall, we held Slovak Championship in bouldering. There was no small participation of contestants who enjoyed the competition. Shortly after that we offered our place to Czech speedclimbers. They held a nomination race for Czech strong representation. Every year we hold Slovak Championship in climbing in young childern and youth difficulty, which is also attended by a great number of foreign cimbers. 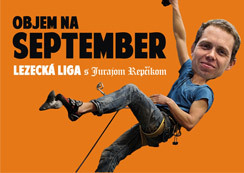 We also held Slovak Championship in drytooling. We do not forget special dates and anniversaries. During special days it´s more about fun than competition. We celebrate our our annually anniversaries with climbing marathon.